Since returning from Yarndale earlier this month, I've been busy with a fabulous new yarn that I squished in my suitcase. 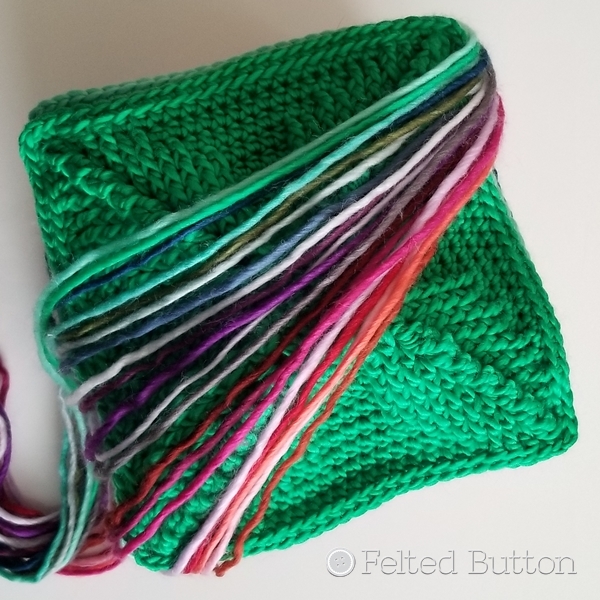 I intentionally took a really large bag knowing that I would come home with loads of yarn, so stuffing 24 balls of the 34 colors of Scheepjes Namaste in my bag was easy--well, almost easy. Thankfully this yarn is squishy! So what does namaste mean? Often spoken at the close of a yoga session, the gesture namaste represents the belief that there is a divine spark within each of us that is located in the heart chakra. The gesture is an acknowledgment of the soul in one by the soul in another. Beautiful, huh? 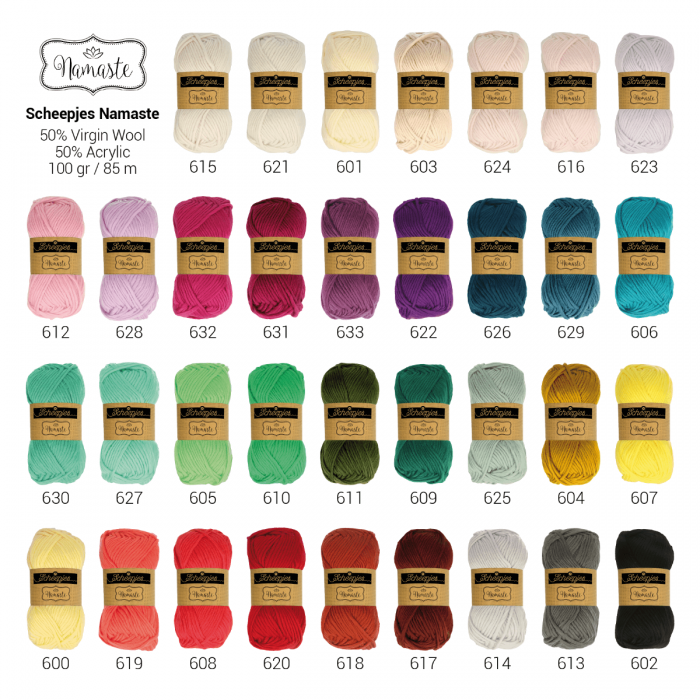 Each color of this yarn is then aptly named after a yoga pose. As soon as I squished this yarn, I knew that I wanted a square worked in a dense and textured motif--nothing lacey or holey was calling me, although it would be beautiful that way, too, especially knitted. So off I hooked. It took me a while (okay, several days), but I finally settled on my final square. I wanted to use up nearly each ball in a motif (85m/93yds) with just enough left over for joining (and maybe tassels or poms). Hence, I left really long tails for joining. 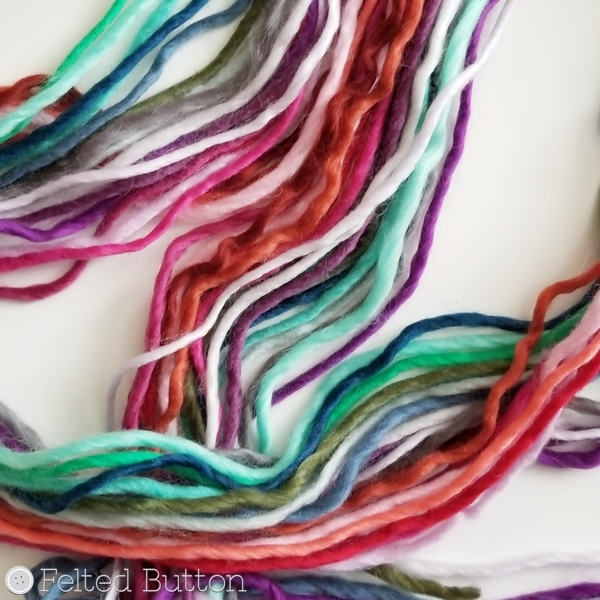 Who knew yarn tails could be so pretty? As you can see, Namaste is not plied--which gives it a nice "roving" feel and makes for excellent stitch definition. It's super "buttery" on the hook and easy on the hands. Because it's 50% Virgin Wool and 50% Acryclic, it's got some additional strength and a tad less stretch than all wool would be. And its cost is very reasonable. 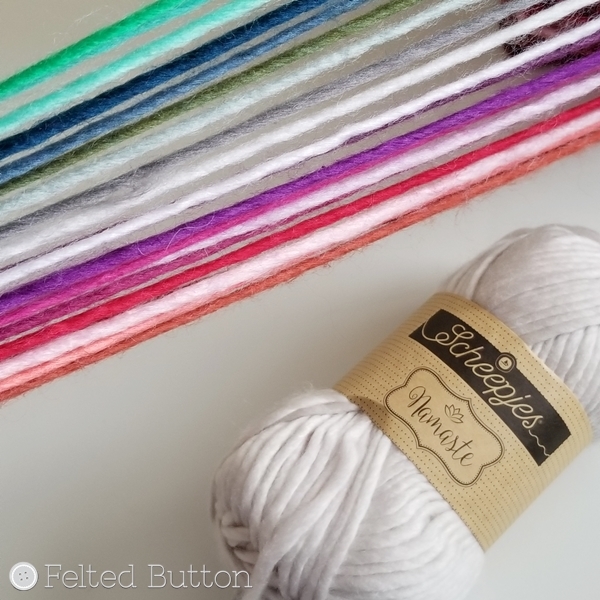 As a bulky yarn, the recommended hook size is 8mm, but I was rebellious and went with a 6mm. Remember, I was going for dense and squishy here. Ta-Dah!!! I really like it, and think it could be a brilliant motif for a number of projects (bags, rugs, pillows...oh, and blankets, of course). I like the dimensionality of it. It looks like a propellor of sorts, huh? Color, texture and blankets seem to be a big gig for me. So, yes, a blanket it will be. 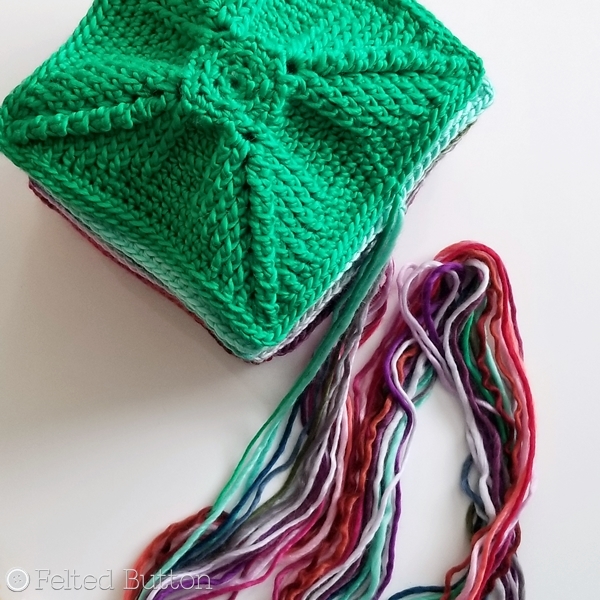 Watch for a free pattern release next week. In the meantime, drool over the 34 colors and consider snatching up some for your next cozy project. 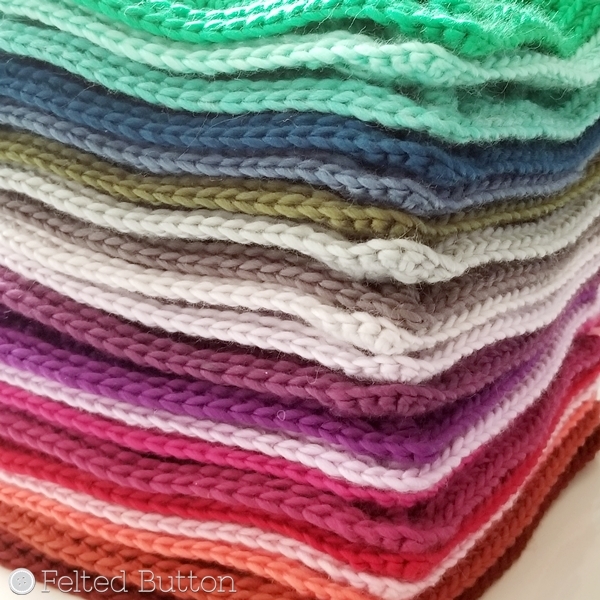 I can envision a blanket made from the nearly white pastels on the top row. Sigh. Or even in a single color. (Gaaah! Did I really say that?) I know that seems like treachery coming from me--one color, but, hey, I might be ready to step out of my box. Maybe. 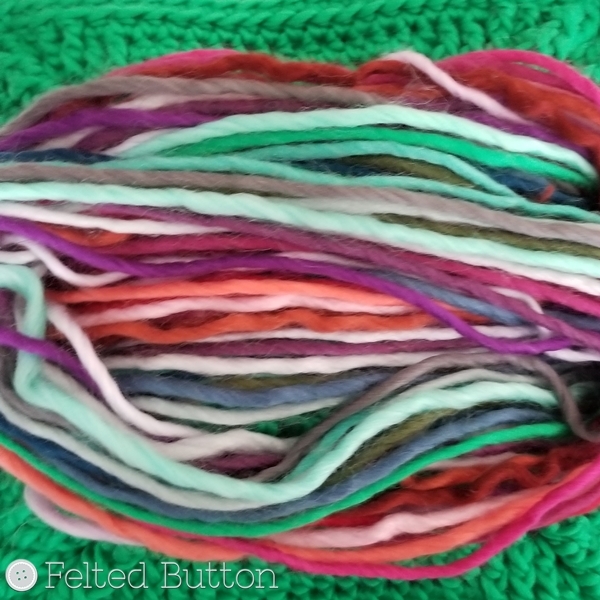 I'll be back next week with the free motif and blanket pattern so stay in the "Button" loop of its release by following my happenings on IG (@FeltedButton) here or Facebook here. Peace, light, love and joy to you!